Today I have nail look I love in Winter, but its especially appropriate at Christmas. 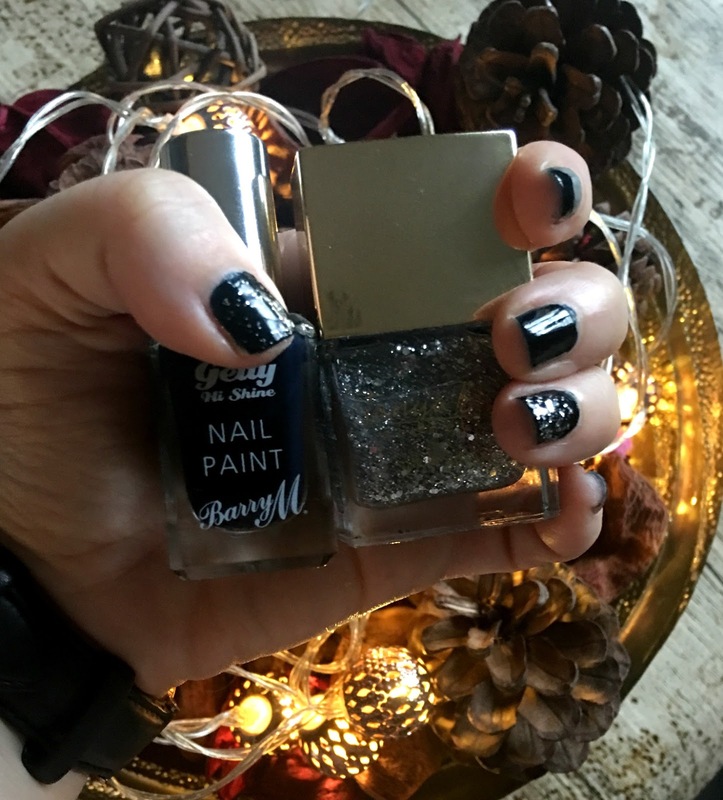 I have always been a fan of dark glossy nails I just think they look so classy and this Barry M Gelly shine in Black grape is no exception, its a gorgeous navy blue, so dark almost black in some lights, and you know what makes this polish even better and that's a bit of glitter, cause you gotta have a bit of glitter at Christmas. So on my thumb and ring finger I've added a coat of this Tanya Burr cosmetics silver glitter polish, and it looks so pretty. The only thing I would say about the Tanya Burr glitter is the smell is really strong so you may want to open a window while your using it, the smell doesn't last while on the nails though which is a result. 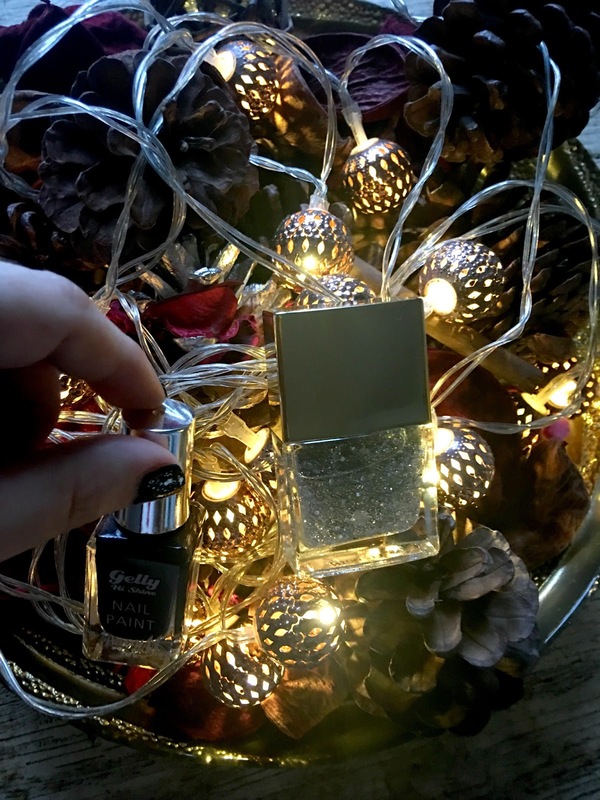 What are your go to nail colours at Christmas? 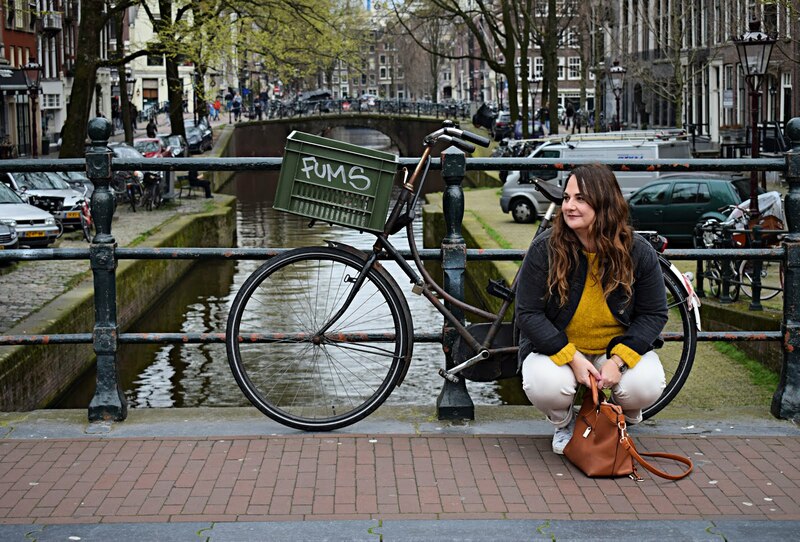 Be sure to follow me on Bloglovin to keep upto date. This looks so good! I love the dark nails too might have to try a dark navy sometime. Love this combo girl the glitter looks fab!